Dr Heike Frehse received her medical degree in 2000 in Pretoria. She has a special interest in paediatrics and enjoys spending time with her family and reading a good book in her free time. Dr Leandri Loots graduated from the University of Pretoria and received a diploma in Obstetrics. She has a special interest in women’s health and likes spending time with her family in her free time. Dr Fritz Potgieter received his medical degree in 1969 from the University of Pretoria, he also received a degree in pharmacology (Potchefstroom University) and sports medicine (University of Pretoria). He has been in the Intercare group for more than ten years. He has special interests in family and sports medicine. Dr Paul Nel graduated from the University of Witwatersrand in 2010 and joined the Intercare group in May 2016. He completed a diploma in child health from the Colleges of Medicine of South Africa in 2017. Dr Mareliza Jurgens received her degree in 2004 from the University of Pretoria and graduated top of her class. She enjoys family medicine and has a special interest in diabetes medicine. Dr Andries van Niekerk Orthopaedic Surgeon MBChB (Pret), MMed Ortho (Pret), FC (Ortho) Dr Van Niekerk completed his undergraduate and postgraduate degrees at the University of Pretoria, qualifying as an Orthopaedic Surgeon in 2017. he mainly focusses on hip, knee, shoulder and hand surgery. He also performs Arthroscopic and Arthroplasty surgery for sport and degenerative knee and shoulder conditions. 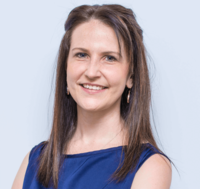 Dr van Niekerk believes in a multi-disciplinary team approach to deliver a quality patient experience, in a caring environment focused on the optimal clinical outcome. His aim is to restore the patient’s ability to move and return to the best possible functioning.